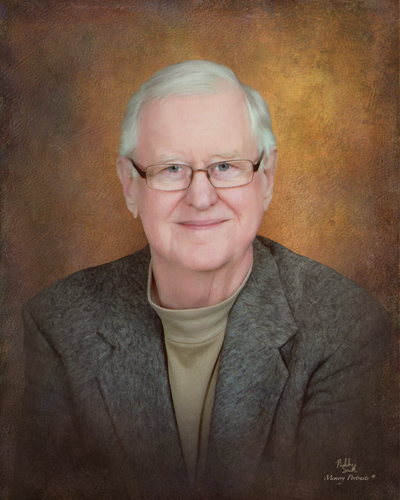 Fred “Ike” Farris passed away September 11, 2018, in The Linda E. White Hospice House in Evansville after a brief illness. He was born in Patoka, Indiana, to Francis Isaac and Beulah (Caniff) Farris. He graduated in 1958 from Patoka High School. After graduation he took classes at Sam’s Technical Institute and Ivy Tech. Ike served in the U.S. Army and was stationed for a time in Germany. He was employed as an electronic lab technician with Potter and Brumfield and Siemens for over 32 years. Recently he was employed as a driver for Ride Solution. Ike was also a very talented photographer and calligrapher. Ike and Betty Witt Farris were married March 28, 1967, by Nathan I. Schoolfield in the First Methodist Church. He and Betty loved traveling and enjoyed vacationing in Bay View, Michigan. He was very proud of his Irish heritage and enjoyed visiting Ireland several years ago. Preceding him in death were his parents, his sister Dixie (Ab) Carey, step-father Reuben Schroeder, mother-in-law Dixie Witt, and brother-in-law Jeffrey Witt. He is survived by his wife Betty; sister-in-law, Carolyn (Frank) Coulter; nieces Amy Carey, Susan Carey, Nikki Cansler, and Brittney (Marty) Robbins; nephews Roger Carey, Jeff Carey, and Shane Cansler; and several great nieces and nephews. He is also survived by his three special cats, Chloe, Gabe, and Sundance. Visitation will be at Hillside United Methodist Church from 2:00 p.m. to 5:00 p.m. Monday, September 17. A memorial service will follow at 5:00 p.m. with Rev. Curtis Bond and Rev. Craig Duke officiating. Colvin Funeral Home in Princeton has the honor of being entrusted with the arrangements. Memorial contributions may be made to Hillside United Methodist Church, 828 West Archer Road, Princeton, IN and Gibson County Animal Services, P.O. Box 474, Princeton, IN 47670. Envelopes will be available at the church. You may leave a message of sympathy or light a memorial candle in memory of Ike at www.colvinfuneralhome.com.